I’m not sure at what point in my life I became an absolute doormat, but I know I let it happen. But more than all of these new realizations about myself is the one thing that changed it all. Having responsibility for him gave me purpose. Seeing the way he loves me for who I am and nothing more makes me realize there are many types of love in this world, and I wasn’t searching for the right type. I’m so in love with Sawyer Bennett right now. This book caught me off guard. 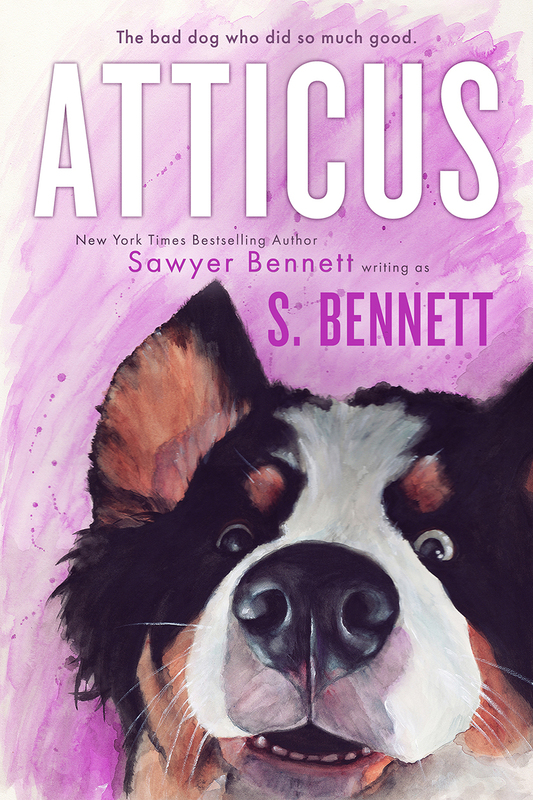 I had no idea that Sawyer could write such a heartwarming and equally heartbreaking story that would affect me so deeply. My friends know I am a HUGEdog lover. My Phoebe is my WORLD!! She is a total diva and could tie with Atticus for the most misbehaved dog ever but just like the Heroine, Hazel, I wouldn’t have her any other way! This story spoke to me on so many levels and I felt that Hazel was my kindred spirit. 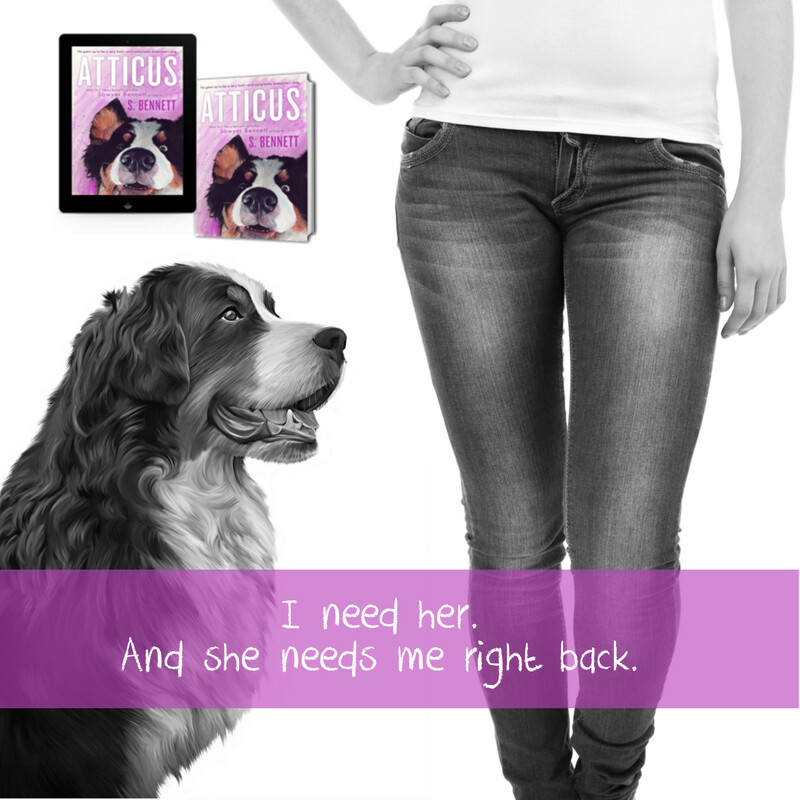 While there is a romance in this book, it takes a backseat to the heart of this story which is family, friends, and the unconditional love that only a special fur baby can give us! Hazel Roundtree is at the absolute lowest point of her life. Her husband left her for another woman and kicked her out of their home a few months back. She’s got a part-time job at a bar making less than minimum wage and is currently taking residence on her friend’s couch since she doesn’t have enough money to afford a place of her own. Estranged from her mother and sister, she literally has no one to lean on. Then one day she stumbles upon a cute ball of fur that’s caught up in some barbed wire in a muddy ditch. Hazel has never had a dog in her life but something about that little guy tugs on her heart and she rescues him. 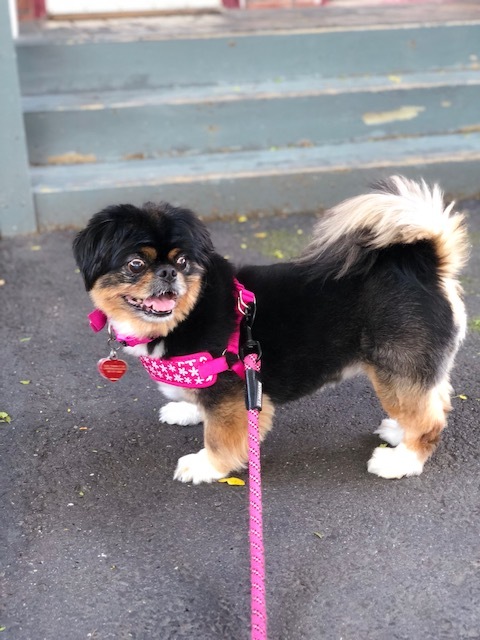 She takes him to a local veterinary clinic and with only $8 in her pocket she hopes that the good doctor will take care of the pup out of the goodness of his heart. Oley Peele is a cranky old man and at first, he comes off extremely crotchety but they work out a deal between them. He mends the poor pup’s injuries and Hazel works off what she owes at his clinic. This will be the beginning of two of the greatest and most impactful relationships in Hazel’s life. From then on out, Hazel starts to undergo a transformation. No longer allowing herself to be a doormat and looking for love with all the wrong men. 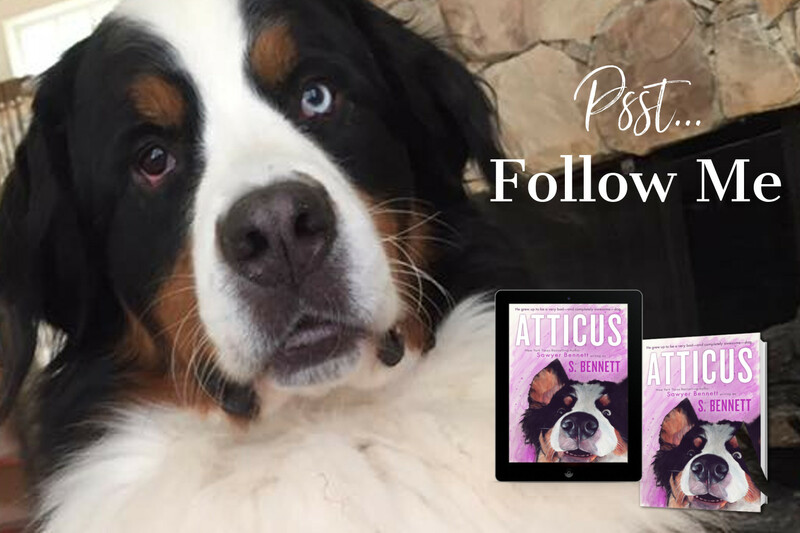 Atticus along with Oley become the main focus of her life. 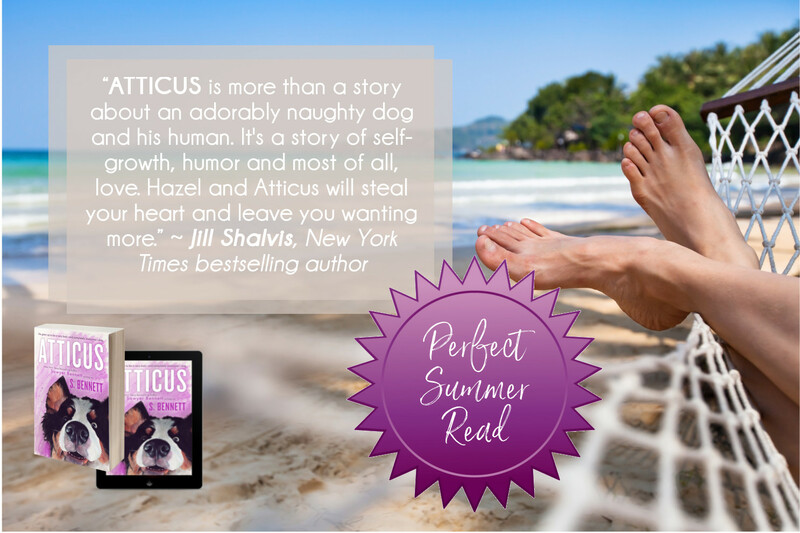 Atticus is a rambunctious and misbehaving ball of fur but he brings a sense of peace and happiness to Hazel’s life that she has never had before. Hazel’s adoptive family grows when she invites her friend Bernard, a homeless Vietnam war veteran, over for their weekly dinners and baseball game watching. As the story progresses, she ends up with a good job, a nice apartment of her own, and a couple of old men who become secondary father figures to her. She is finally putting herself first and things are falling into place nicely for her. There is basically no steam in this story and honestly, I think it would have been out of place if it was. Love will come to Hazel and it will be at the right time and with the PERFECT guy! I’m so happy that she got her HEA. By the time I got to the end of this book, I felt like she was a good friend. Get ready to cry so hard, you’ll find it hard to breathe. Keep that box of Kleenex handy. I can’t remember when a story hit me this hard!! And here’s my little misbehaving fur baby, Phoebe! From the moment she came into my life she’s had me wrapped around her little paw and I wouldn’t have it any other way!! 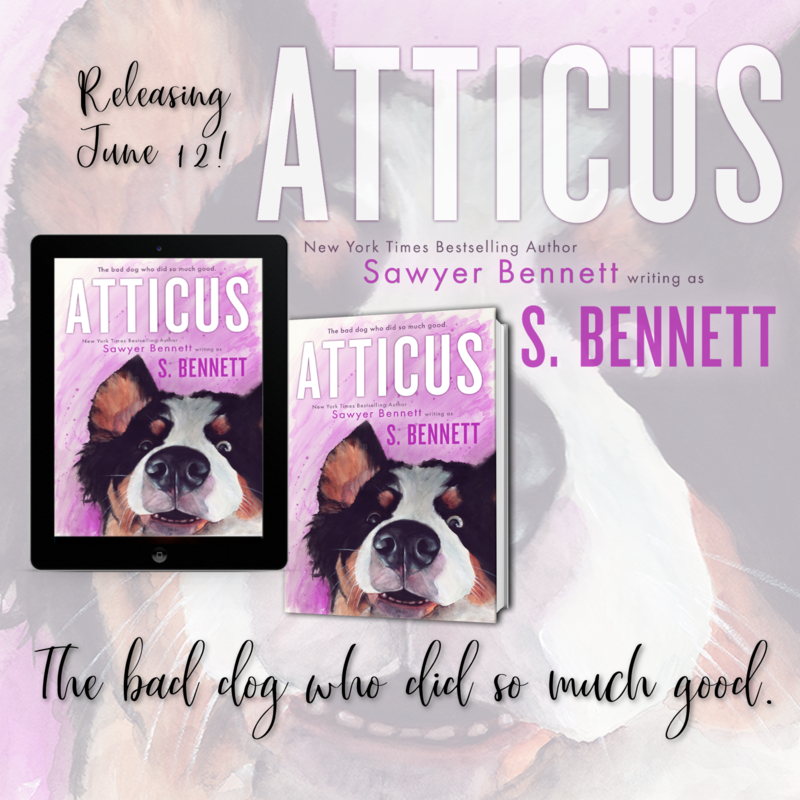 ATTICUS is currently available! One-click it now!